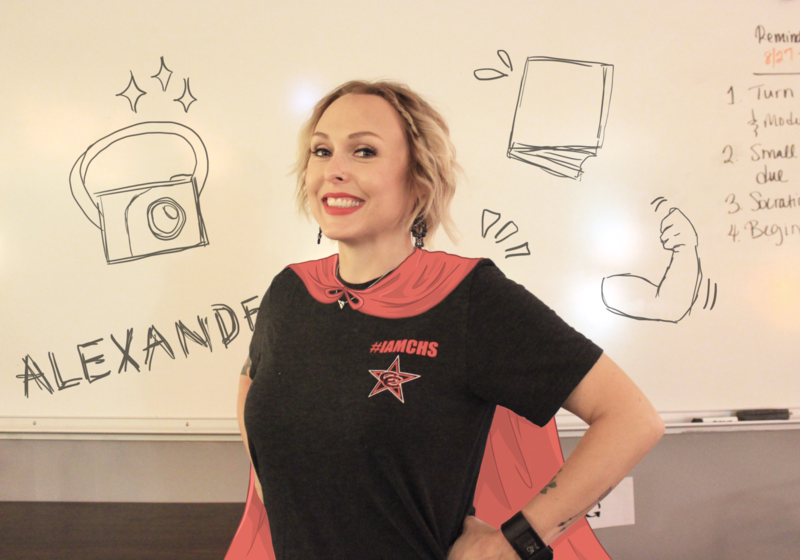 Coppell High School GT/AP English III teacher Melissa Alexander’s talents and time management truly make her a real life superwoman. She has a passion for a variety of different activities including photography and spartan race, while still managing to teach GT/AP English 3 to her students and taking care of her recently born baby. Cut to scene – it’s the first day of school. There is a brightly decorated classroom, packed with students. In the middle of the productive chaos stands a woman, smile on her face, ready to teach. This is Melissa Alexander-Blythe, GT/English III teacher, a woman students consider to be a real-life superhero. Most only know of Alexander’s skills in the English classroom. She takes extra care to keep student goals at heart and help them achieve their academic goals. Many of her English students from the past year can attest that her teachings are truly helpful for school and on the long run. 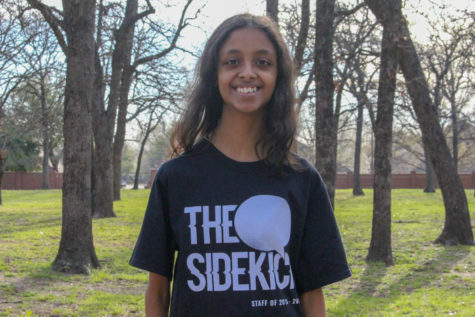 “It’s a class worth taking because you learn a lot more than just writing, but how to develop yourself,” CHS senior Jayashree Ganesan said. However, just because she makes her students’ lives better does not mean that her life is easy by any standard. After doctors told her she would never be able to have a child, Alexander turned to a process known as IVF, or In Vitro Fertilization. Although this gave her a chance to have her own child, it presented its own challenges. However, the timing of her bedrest posed yet another challenge. 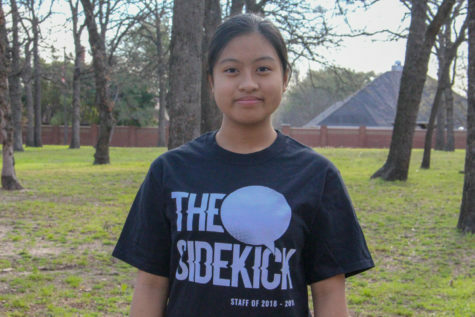 Ganesan agrees that even through her teacher’s absence, she felt well-prepared going into the AP Language and Literacy exam due to her teacher’s proactivity. “I was definitely prepared before the exam. Before she left, she gave us a lot of timed writings and practices, so I think she predicted her leaving,” Ganesan said. Before her pregnancy, Alexander was an active participant in Spartan races. What began as simply a way to keep up morale and provide for her son became an enjoyable pastime and stress relief. Afterwards, the medication restricted her workout regimen due to the extra testosterone levels in her body. Nevertheless, her active lifestyle remains an important part of her daily life. On the side, Alexander also runs a photography business. Known as Alexander-Blythe Photography, she takes professional photos of weddings, senior portraits and more. This serves as a form of artistic expression to her, for Mrs. Alexander considers herself a very artistic person. To prove, her arms are covered in colorful tattoos, some with special meanings. On her forearm is a beautiful tree with the name, “Asher” written in Hebrew at the roots, due to its meaning, “happy blessing”. Much like photography, these tattoos serve as a form of artistic expression to her. No matter if it’s the tattoos that line her arms or the experiences she recounts to her students, Alexander’s life tells a story of passion, dedication and hardwork. What a wonderful article about your teacher. I had the privilege of working at Roswell High School with Mrs. Alexander-Blythe. Melissa was a wonderful teacher here and I can tell she is doing an outstanding job at Coppell High School. You did an excellent job writing this article.